Combines the benefits of academic achievement with the motivation and self-discipline of sports. Combats the growing problems of illiteracy, school delinquency, adolescent crime and obesity. In addition to the weekly program offered throughout the school year, Project GOAL, through the generosity of a variety of sponsors, has been able to offer an annual two-week summer camp for free of charge for student participants. Tutors, all with backgrounds in education, are present in each classroom to help students complete their work and provide assistance when needed. After the completion of the academic portion of the day, students are expected to participate in formal soccer coaching sessions with members of the Project GOAL staff who have coaching certifications at a variety of different levels, from beginner to Olympic Development Program. 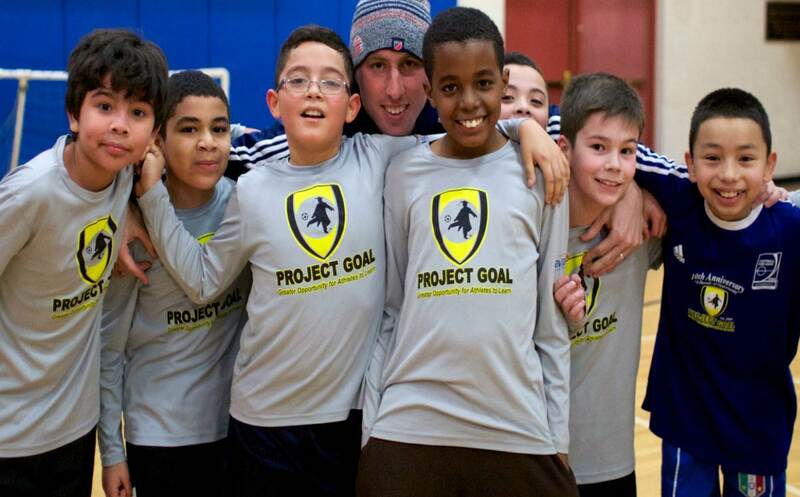 Project GOAL is fortunate to work closely with our local MLS club the New England Revolution. The team has sponsored a number of different events including autograph signings, coaching sessions, equipment drives, and visits to Gillette Stadium.